All the pirate flavor, minus the pirate guilt. People are always talking about how cool being a pirate would be, but on paper the pirate lifestyle is chock full of jerk-centic behavior. While some people don’t mind taking what the want, when they want it, there are those that like the sensation of both high seas adventure and moral righteousness. If you happen to be the latter, Caribbean Admiral is the game for you. These tiny boats make me feel inadequate. You take on the role of the anti-pirate; an admiral tasked with ridding the waters of the ocean’s most merciless thieves. Things start out well for you until the appearance of a ghostly pirate ship that results in the decimation of your forces, the kidnapping of your sister, and a first class ticket back to the ground floor. Not a whole lot of dramatic build up to the story as this transition occurs in a little less than a minute, but I was nonetheless pumped up and ready for revenge (the swashbuckling soundtrack further enhanced this sentiment). 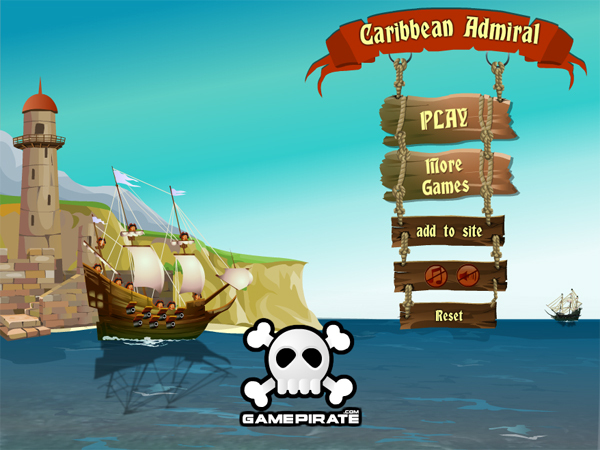 From there, you’re tasked with climbing back to the top, taking back the Caribbean through force, and tracking down the ghost ship for one final showdown. 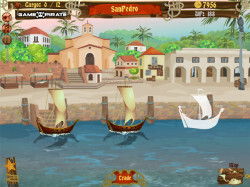 The game itself is split between two parts, the first being combat with the pirates that have moved in as a result of your absence and the second the trading of goods between different Caribbean ports. Both of these activities facilitate the improvement of your fleet since you earn “War Points” (upgrade points) and gold through successful anti-pirating. Combat is turn-based and while it’s relatively simple, it’s very satisfying since you have multiple options in terms of how you cab attack your enemies. 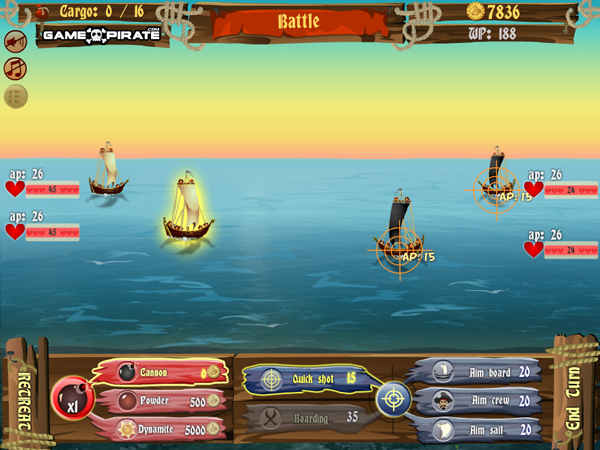 You can shoot a variety of cannon ball types as well as pick what part (the crew, sails or boards) of the enemies’ ships you want to target. Should you be the type that likes to get in close to do the majority of your damage, you can also board their ships. 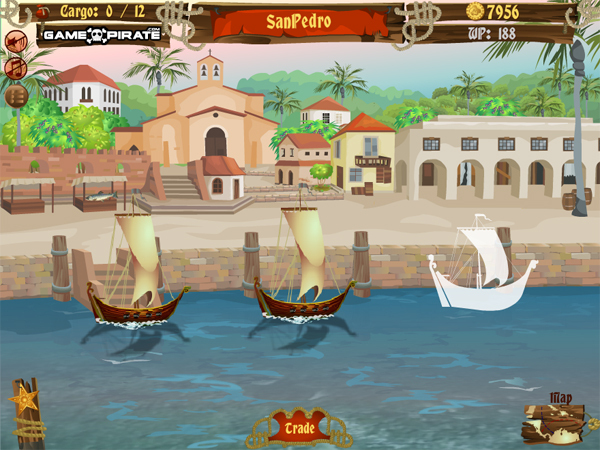 Pirates may have all the fun in life, but that’s only because respectful folks like you and me allow it. Caribbean Admiral shows us that you can have an even better time ruining their days than partaking in their self-serving activities.